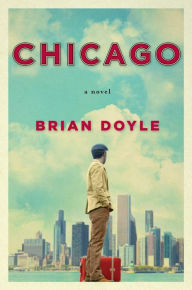 Every year, there's at least one novel that catches me unawares for how much I love, and for which I wind up being an un-shut-up-able evangelist. 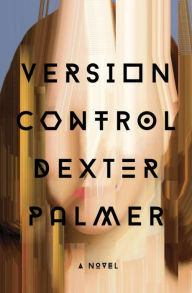 This year, that novel is Dexter Palmer's fantastic, fiercely smart, mind-bendingly fun novel, Version Control. This 500-page story is brimming with ideas — about technology, authenticity, race, loyalty, causality, history, science, Big Data, and yes, even time travel. It's fascinating and fun and heartbreaking and hilarious and all of the other things that make great fiction great. So the deal is this: Rebecca and Phillip are a mostly average middle class, middle-aged couple. She works for an online dating service, spending her days trying to upsell poor dateless saps to the Platinum level. He's a physicist who has spent the last decade or so working on what he calls a "causality violation device." Yes, what this really is is a time machine, but you won't confuse this thing with any time machine in, say, H.G. Wells or even Stephen King — the only goal here, with the physics to back it up, is to send a robot back to a pre-established Point Zero, have it stay there for an hour, and return with evidence (a clock that's an hour off) that it's worked. Sadly, it doesn't work, and Phillip's once-promising career is flagging. And so we spend the first several hundred pages hanging with Philip and Rebecca, and their friends. We get the couple's backstory, how they met, how Phillip got into physics, etc. When Palmer is focused on plot, and building affinity for his characters, he's really entertaining. But where he's at his best is when he's mixing in frequent and profoundly insightful ruminations on things like Kant's categorical imperative, our relationship with technology, how we are not the sum whole of what all the parts of our data say about us, and much, much more. All through this novel, I kept thinking, "Man, I wish David Foster Wallace was still around to see this. He would've LOVED this book." But really, the less you know about what happens plotwise after the "getting to know you" phase, the better off you are, and the richer your reading experience will be. Just know things happen you won't expect and you'll have to put down the book, think hard, and go "wow." This is truly a novel that deserves a wider readership. I was as totally engrossed by it as I was in awe of how smart it is, and how Palmer uses so many different elements of our modern world (even though this is set 10 years or so in the future) to explore his themes. I really loved it — a definite candidate for favorite of the year. A great modern poet once wrote: "You can't always get what you want, but if you try sometimes, you might find you get what you need." 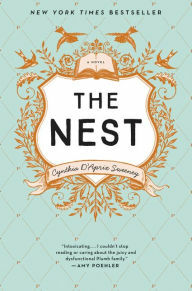 That's the theme of Cynthia D'Aprix Sweeney's terrific dysfunctional family story, The Nest. The questions of the novel: What happens when something you'd been counting on — in this case, a YUGE inheritance — is suddenly gone? How do you adjust? How do you extract the wrenches thrown in the works of your carefully laid plans? What we have here is four New York City siblings, whose father died and left them all a trust. But the catch is that it could only be dispersed when the youngest sibling turns 40. The mother, Francie, a decidedly Lucille Bluth-like character, has resisted all requests from the four to borrow from The Nest...that is until only a few months before the money's about to be doled out, eldest son Leo wrecks his car with a 19-year-old-not-his-wife waitress, and some hush money is required. So The Nest, a windfall all four siblings had counted on, is mostly gone. And though Leo, fresh from rehab, promises to pay them all back, they're all pretty skeptical he will. The story that unfolds is about how each sibling, to varying degrees of success, deals with the money being gone. They'd made plans. They'd kept certain financial indiscretions from their significant others. They'd lied. This novel is just an absolute delight from cover to cover. It's funny, it's sad, it's chock full of social commentary and wickedly sharp observation. And these characters are so fully real — they're all empathetic, but the moment you start feeling badly for them, they do something that makes you just cringe. I loved it! It's one my favorite novels of the year so far. Just so fun and scandalous — well worth the considerable hype! 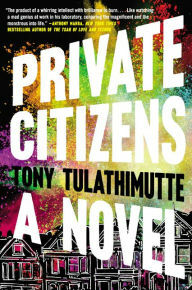 Private Citizens, by Tony Tulathimutte — If I could nominate an alternate title for this incredibly well-written, smart debut novel, it'd be "Hot Mess Millennials Make Increasingly Bad Decisions." I really dug this book because to me the only thing better than reading about one character who can't get out of his/her own way is FOUR characters for which that's true. And that's what we have here. Four recent Stanford grads try to navigate their treacherous 20s in San Francisco, to vastly varying degrees of success. So if you liked A Little Life, but wanted a novel maybe a little shorter and a lot less horrifying, this is the story for you. Tulathimutte is a really talented, sharp writer — you might even see whispers of DFW here and there in the way he writes goofy logical double-binds and turns of phrases. Highly recommended! 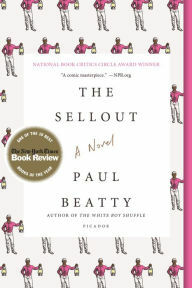 The Sellout, by Paul Beatty — Oh man, this novel is something else — like what would happen if Chris Rock (and I'm sure Beatty would be apoplectic at this comparison) decided to convert a stand-up routine to a novel, but make it much smarter and even more irreverent. Crazy stuff here! 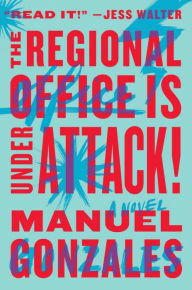 No racial taboo is untouched in this year's National Book Critics Circle award winner, and it is utterly, completely hilarious. Though it does lose a little momentum at the end (which isn't a huge deal, it's a short book), this is one of the funnier novels I've read in long time — but it's sure not for the easily offended. It almost reads like a collection of set pieces (comedy bits? ), but a story does emerge — it's about a guy named Bonbon Me, a black guy who is a farmer, surfer, grower of amazingly good fruit and weed, and rider of horses. The story takes place in present day in the town of Dickens, California, a Los Angeles suburb/neighborhood that has been zoned as farmland, but has turned seedy, like many other black LA 'hoods. Bonbon goes about his life in typical fashion, owning a slave who happens to be the last surviving Little Rascal, trying to re-segregate schools, pining for his long-time crush who has married a rapper named DJ Panache, and working hard to get Dickens re-recognized on maps. It's a novel rich in irony, cultural references, and laugh-out-loud jokes. If you liked Americanah, but thought it just a touch too serious, this is the book for you. Great.